Non-LGBT Americans are increasingly accepting of LGBT people, but many don't realize what battles remain to be fought for full equality, a new GLAAD report indicates. 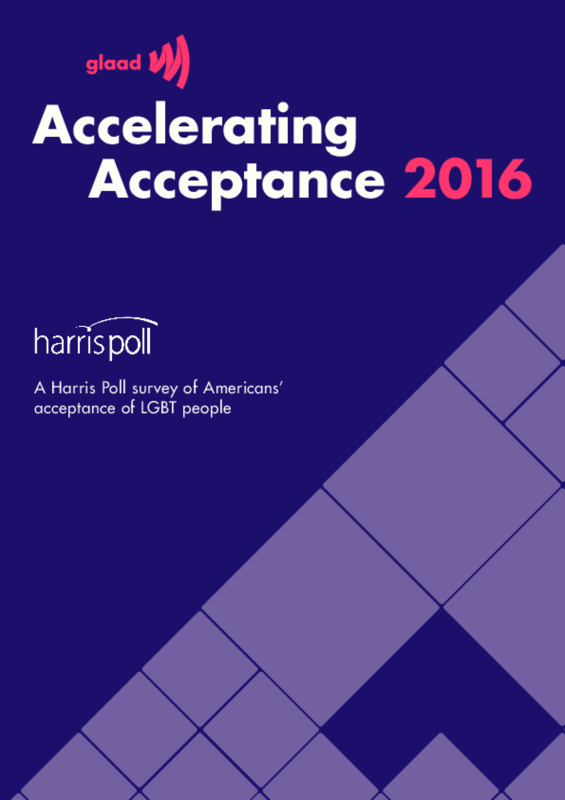 GLAAD's second annual Accelerating Acceptance report, based on information gathered for the organization by the Harris Poll last fall, found that respondents' comfort level with LGBT people rose since the previous year. But many participants in the survey were unaware of the challenges still facing LGBT Americans. Half of non-LGBT respondents thought LGBT people had "the same rights as anybody else," as the survey put it, when actually 31 states have no law preventing a person from being fired or denied housing simply for being LGBT. The assumption that LGBT people have equal rights across the board may be due to the widespread publicity about last year's Supreme Court marriage equality ruling, GLAAD officials said. A significant minority of non-LGBT respondents -- 27 percent -- thought violence against transgender people was not a serious problem, even though at least 21 trans women, most of them women of color, were murdered in the U.S. in 2015. Also, 37 percent said homelessness among LGBT youth was not a major issue, when in reality an estimated 40 percent of homeless young people identify as LGBT. And a third of non-LGBT respondents, including some allies, said they had no strong opinion about LGBT issues. The 2015 survey was conducted online October 5-7 among 2,032 Americans age 18 and older. The non-LGBT sub-sample was 1,781. The previous survey was conducted in November 2014 and involved 2,010 American adults, 1,821 of them non-LGBT. Copyright 2016 Gay & Lesbian Alliance Against Defamation (GLAAD), Harris Poll.